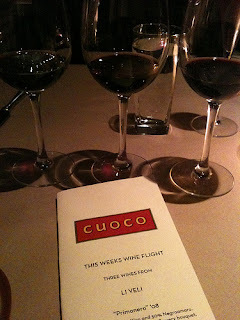 Recently I had dinner at one of Tom Douglas' newer restaurants, Cuoco. This Italian restaurant is part of three new eateries in the Terry Building in the heart of South Lake Union. Cuoco sits on the first floor below Brave Horse Tavern and Ting Momo, a Tibetan Dumpling House. Mr. Douglas did a great job fully restoring and renovating the old Terry Building. The restored exposed brick shows off the buildings history, and the beautiful wood work throughout the restaurant add a nice warmth to the setting. When you first walk into the restaurant you have a open view to the kitchen and the pasta work station. All the pasta is made fresh on-site. To start the dinner, I sampled Cuoco's weekly wine flight. This week's selection included three Italian Reds: Primonero '08, Passamante '09, and Pezzo Morgana Riserva '07. The wine flight menu does a great job describing the taste of each wine. The taste I experienced was exactly the taste they described. All three were very delicious. For my salad, I went with the Simple salad. This was a perfect start to the dinner as it was very light and had perfect flavor. 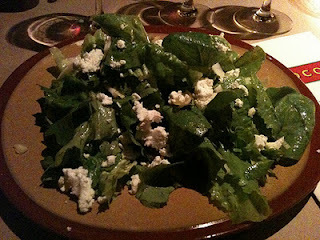 It contains josh's greens, extra-virgin olive oil, lemon, sea salt, and young goat cheese. 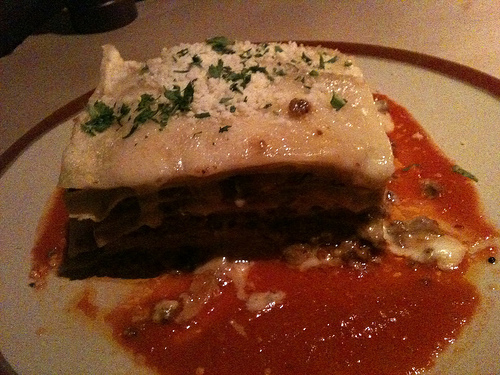 For my main course, I ordered the Lasagna with bolognese sauce, besciamella and parmigiano. I was surprised at the size of the serving. It was huge! The lasagna was very tasty and had good flavor. I wish it came with a little more sauce, but otherwise it was good, that is, until I took a bite from the center of my lasagna. It was very cold. the outer portions of the lasagna were hot, but not the center. It's as if the center of it was refrigerated. I mentioned this to our server. I told him the lasagna is delicious, but the center was surprisingly cold. he came back a few minutes later to let me know that they were not going to charge me for the lasagna. I wasn't looking for any discount or free food when I mentioned it to him, but I was very pleased they were not going to charge me for it. I of course still paid my full amount and left a very generous tip. Just the fact that they were going to take care of it for me, showed me that they care about their food and their patrons. So I was happy to pay full price for the lasagna. It still tasted great! For dessert, I ordered the chocolate gelato. This was a generous scoop and it was delicious. 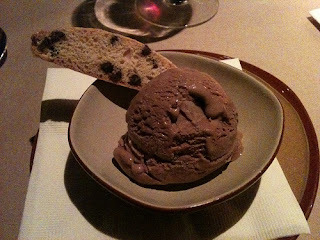 I would recommend trying out Cuoco. They have good food, good wine, and excellent service! I love lasagna. I have tried lasagna in Beccles Suffolk. I want to visit Cuoco soon because of your review.Thank you.